Article: Apparently pigs do fly! Flicking through Twitter yesterday I stumbled across a very interesting article. During a recent RSPCA survey it was revealed that there may be a little confusion about what animals do what. I never thought understanding what flies or what walks was complicated ... apparently it's more confusing than I thought! 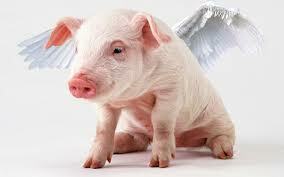 According to the survey 8% of people answered that they had tried 'pigs' wings'. I don't know about you - but these wings would be some pretty big wings! It is just amazing how ignorant people really are about where food comes from. Thursday last week I came home from work to a lovely 250 fans on Facebook! That completely made my day. Even now that I'm writing this it has climbed still to over 270!! I would like to thank each and every one of you who simply clicked "like" and read my blog. It might seem small to you, but to me I feel so blessed that so many of you want to share my love of food with me. To celebrate reaching 250 likes I hosted a winter warmers party over the weekend. It may seem strange to some of you as it's far from winter where you are, but here in Melbourne (Australia) it has been one cold winter. 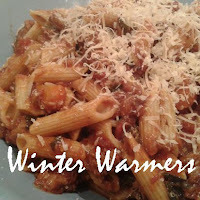 Lots of great recipes were shared from main meals and desserts, to drinks to snuggle into the night with. A big thank you to everyone that shared recipes over the weekend and made my first milestone party a great success. For those of you that missed it or would like to go back and have a look a the recipes shared, you can check them out all on my events page. 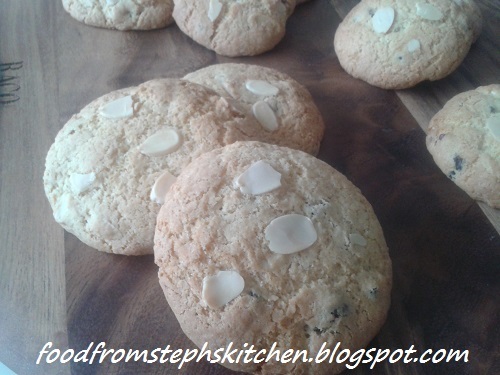 During my winter warmers party I shared with you my cranberry and almond cookies. With all the recipe sharing I wouldn't be surprised if it was easily missed. I am proud to say that these cookies are now in a better place - my tummy! I adapted my Mum's choc-chip recipe that she has had for as long as I can remember. To make the inside of the cookie a little bit more cake like I added a little less flour before adding in my dried cranberries and almond flakes. It makes the dough a little bit more sticky to work with, but I guarantee it's worth it! On Thursday I shared with you Susan's Sumptuous Suppers home-made pide recipe. I've never had a pide before nor made them so I thought it would be great to try this weekend. I have to say, it was del-ic-ious! 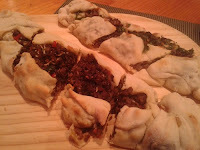 I made a Moroccan beef mince and spinach one for myself, and a spicy one with mince and chilli for Mr Steph.